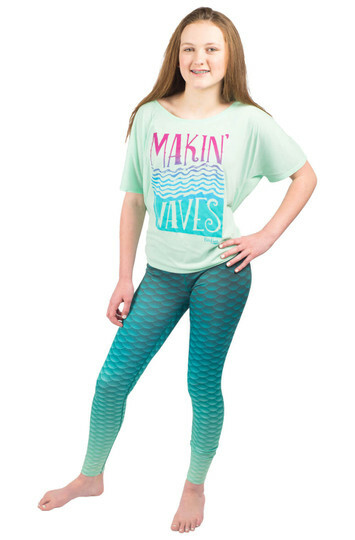 Show off your mermaid style on land with Fin Fun’s sporty mermaid scale leggings featuring a gorgeous pattern of tranquil sea green ombre mermaid scales. 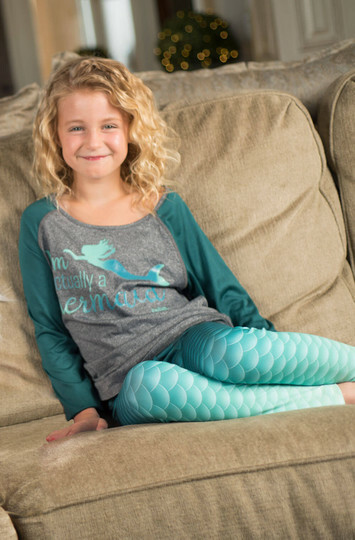 Combine these super soft and comfortable leggings with a matching Fin Fun tee or raglan top to create the perfect casual outfit. 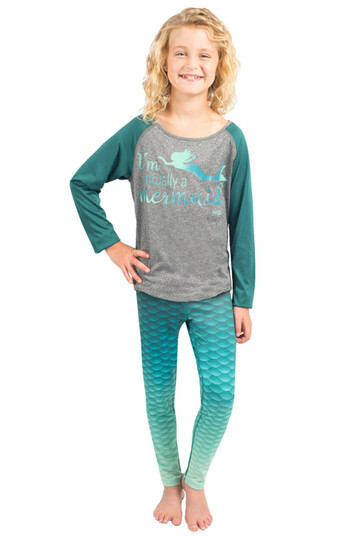 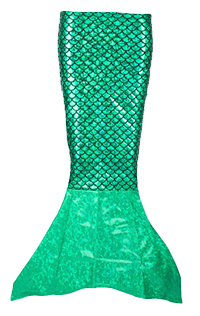 You’ll dream of a relaxing life underwater in Fin Fun’s Deep Sea Green Mermaid Leggings! 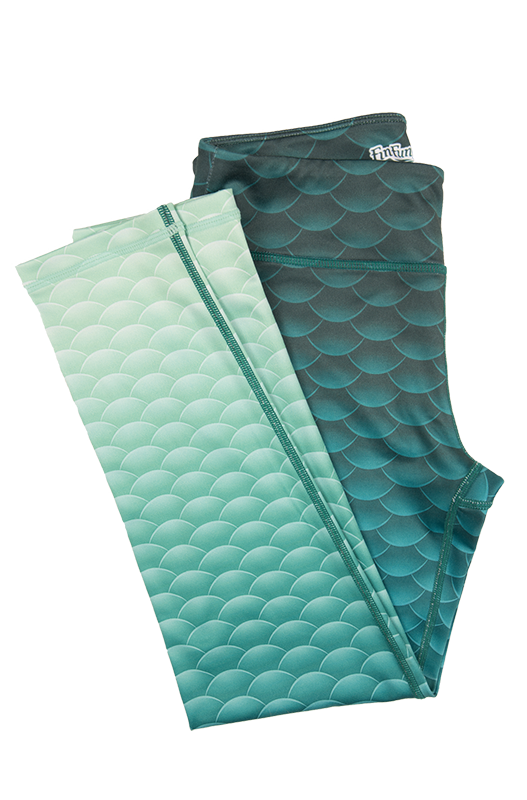 These soft, breathable, mermaid scale leggings let you live the mermaid life all day long in style.